Arrive and meet with your coach and driver. Discover Glasgow, Scotland’s largest city, with a panoramic city tour. From the magnificent St Mungo Cathedral to the People’s Palace and Glasgow Green, explore Glasgow rich past as a religious centre and one of the most important industrial cities in Britain. The Victorian architecture of the centre offer a striking contrast to the extensive parks of the West End. Among those, Kelvingrove offers a haven of peace in the city, with amazing views on Glasgow University’s striking buildings and the Kelvingrove Museum. It is not hard to imagine why Glasgow is home to Scotland’s most celebrated architect: Charles Rennie Mackintosh. virtually intact. There used to be a chanonry around it, a precinct where the bishops (and later archbishops) and clergy had their residences. To its south, a thriving burgh sprang up, under episcopal patronage. That burgh has since expanded into the great metropolis we see today. The Summerlee Museum incorporates Scottish industrial life in the 19th century. It temporarily closed in 2006 but reopened on 26 September 2008 following a modern refurbishment and amazing array of social history and interactive displays. Built on the site of the old Summerlee Ironworks in Coatbridge and the main workshop contains the former Hydrocon Crane, an operational heritage tramway, a recreated mine with guided tours, miners’ cottages and an exhibition hall with working machinery. south-east tower. Only its base survives. Depart this morning for Ayr, where we will visit the birthplace of Robert Burns. The museum offers a truly unique encounter with Scotland’s favourite son. The museum comprises the famous Burns Cottage where the poet was born, the historic landmarks where he set his greatest work, the elegant monument and gardens created in his honour and a modern museum housing the world’s most important collection of his life and works. The interior of the castle is very grand in terms of scale and furnishings. 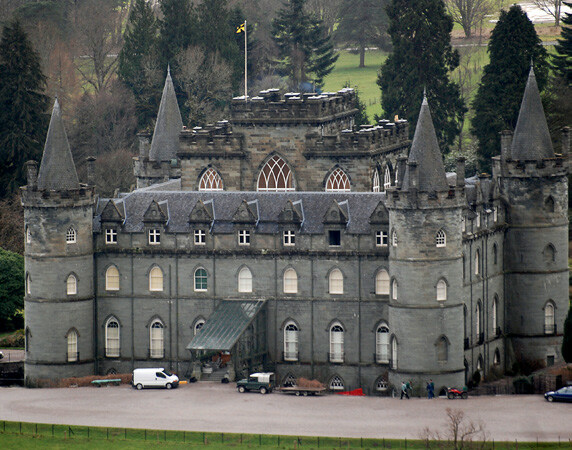 A large number of rooms are open to the public and you seem to see most of the castle with a tour that takes you through 10 major rooms and then out through the servants’ quarters/kitchen. 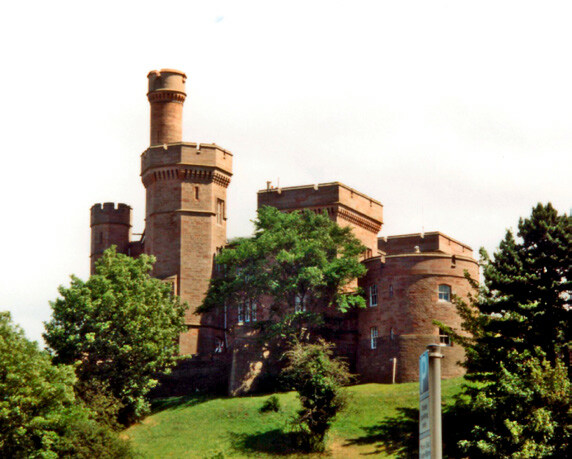 Visitors to Culzean are welcome to tour the castle independently. There are guides in most rooms who are always happy to answer questions. by contacting the Reservations Secretary. This morning we depart Glasgow for Oban. At the heart of Loch Lomond National Park is Loch Lomond itself. You won’t find a bigger loch or lake in the whole of Britain and you’ll have a hard time finding a more beautiful one. From here we will take a two-hour cruise from Balloch Pier to the village of Luss. Inveraray Jail is a living museum and visitor attraction where real people portray life in a 19th-century prison. This award-winning attraction has established itself as one of Scotland’s most exciting heritage attractions. Visitors can sit in the restored 1820s courtroom with lifelike models and listen to excerpts from trials of the past before passing pass on to the prisons below, and meeting with the Warder, Matron and Prison Guides, all dressed in period costumes. This morning we travel to the islands by ferry. Our first stop will be the Isle of Mull. Mull is the fourth largest Scottish island and has an area of 338 square miles. 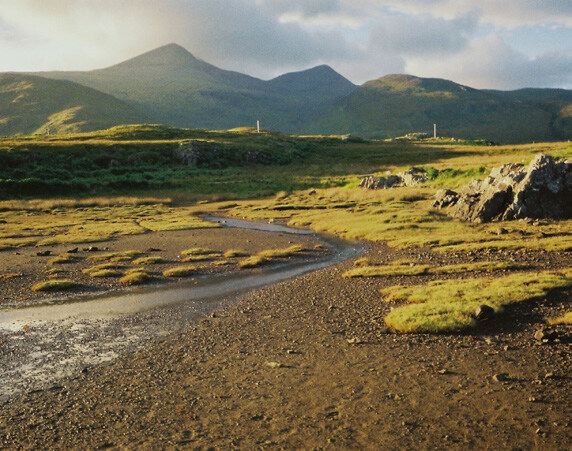 It has been inhabited since around 6000 BC and in the 14th century, Mull became part of the Lordship of the Isles. After the collapse of the Lordship in 1493 the island was taken over by the clan MacLean, and in 1681 by the clan Campbell. The island is home to over 250 different bird species including the White-tailed Eagle, Minke Whales, Porpoises and Dolphins are among the sea life that can be seen on boat tours from Mull. This morning we depart Oban for Fort William, making the following visits en route. Located on Battery Hill overlooking the town of Oban, the structure was built by a wealthy architect named John Stuart McCaig in 1897. Admirer of Roman and Greek architecture McCaig’s intention was to provide a lasting monument to his family and provide work for the local stonemasons during the winter months. He had planned for a museum and art gallery and a central tower. Inside the central tower, he planned to commission statues of himself, his siblings and their parents. But his death brought an end to the construction and only the outer walls completed. The castle is a four-story tower house or keeps set on a tidal islet on Loch Laich. The name “Stalker” comes from the Gaelic Stalcaire, meaning “hunter” or “falconer” as it was used by James IV as a hunting lodge in the 14th century. In recent times, the castle was brought to fame by the Monty Python team, appearing in their film Monty Python and the Holy Grail. The valley is a glen of volcanic origins in the Scottish highlands and is considered one of the most spectacular and beautiful places in Scotland. This morning we depart for the scenic journey to Inverness, first travelling to Mallaig for the ferry to Armadale on Skye. Built between 1815 and 1819 by the MacDonald’s but today it is part of the excellent Donald Clan Centre. The massive estate is 20,000-acre with magnificently restored historic gardens, as well as superb walking trails through the woodlands around the castle ruins. We next cross to Kyle of Lochalsh by the Sky Bridge, constructed over Loch Alsh spanning between the villages of Kyleakin on Isle of Skye to Kyle of Lochalsh on the mainland. Next, we will visit famous Urquhart Castle. Urquhart Castle offers a taste of the Highlands at their most dramatic. Discover 1,000 years of drama, experience a glimpse of medieval life and enjoy stunning views over Loch Ness from the ruins of the greatest castle in the Highlands. Urquhart’s stories are also told through a remarkable collection of artefacts left by its residents, historic replicas, including a full-sized, working trebuchet siege engine. The castle has a distinctly Highland heritage and the site has witnessed some of the most dramatic chapters in our nation’s history. 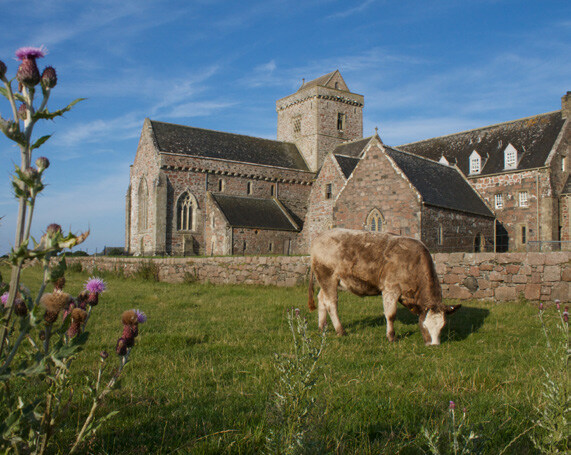 It is here that St Columba is said to have worked miracles in the 6th century, where acts of chivalry and defiance provided inspiration during the Wars of Independence and where the MacDonald Lords of the Isles struggled with the Crown for power. Today we will explore Inverness and Aviemore. Scene of the 1746 Battle of Culloden between the Jacobite and the British armies. As the last battle being fought on British soil, Culloden marks the beginning of the dismantlement of the structures of Highland society. In the aftermath of the battle, kilts and tartans were banned. Visit the innovative exhibition featuring interactive characters involved in Culloden’s events - helps guests follow Culloden’s events in a more interesting way. Feel firsthand what it was like to be involved in the battle through our immersion theatre with 360º fighting action. 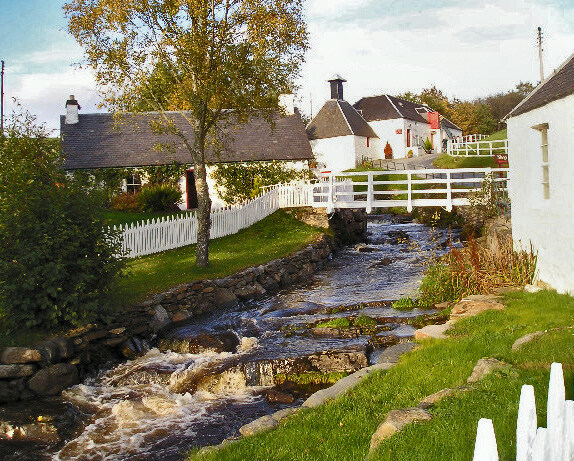 Then we will visit the Glenfiddich Distillery. Set in the heart of the Highlands, Glenfiddich (meaning ‘ Valley of the Deer’ in Gaelic) is a place of breathtaking beauty. Glenfiddich is little changed since 1886 when William Grant and his nine children rolled up their sleeves to build the Distillery with their bare hands. These same silent warehouses and steamy mash rooms produce the world’s favourite single malt Scotch whisky today. Feel the heat rising from the mash tun and discover the giant washback’s, hand-made from Douglas fir and five metres high. Experience one of their traditional warehouses - whose earthen floors, stone walls and age-old atmosphere nurture this famous whisky to life. This morning we depart from Inverness for Perth. Participate in the working day of a Highland Shepherd and his dogs. Watch up to eight dogs working at the same time on the sheep and hear their individual whistle commands - something you won’t see anywhere else as it’s unique to Neil’s personal style of training! Possibly meet the friendly collie pups, help to shear a sheep and bottle feed orphan lambs. Blair Castle, the ancient seat of the Dukes and Earls of Atholl, enjoys one of Scotland’s finest settings in the heart of Perthshire. Visit the castle and enjoy a tour of 30 rooms and the fascinating collections they contain. 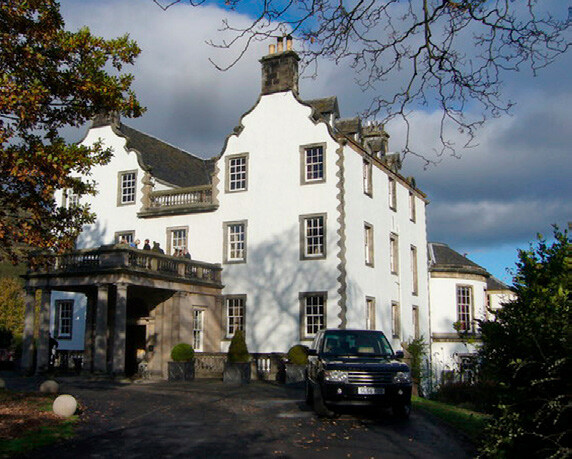 As one of the first private homes to open to the public in Scotland, Blair welcomes more visitors than any other. Discover the castle, its extensive collections and beautiful gardens. Blair Castle has a long and illustrious history, throughout which it has accumulated many fascinating historical artefacts, including antique furniture, art, period dress and arms and armour. This morning we depart from Perth for Edinburgh. St Andrews Castle is the ruins of the castle of Archbishops of St. Andrews, dating in part from the 13th century. On a headland to the north of St Andrews stand the ruins of the city’s castle, the main residence of the bishops and archbishops of St Andrews and the focal point of the church in medieval Scotland. The remains of St Andrews Cathedral, which was Scotland’s largest cathedral and most magnificent church, show how impressive it used to be. The museum houses an outstanding collection of early and later medieval sculptures and other relics found on the site, including the magnificent St Andrews Sarcophagus of Pictish date. The precinct walls are particularly well preserved. We begin with a panoramic tour of this beautiful city. 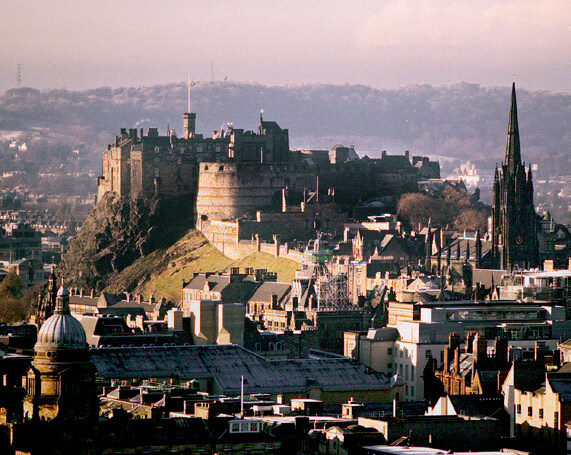 Edinburgh is one of the world’s finest capital cities, because of its cultural diversity and impressive history. The medieval streets run through the whole city telling their own story about the 1000-year-old traditions and myths of Edinburgh. Throughout your city tour, you will get to know different parts of this city, such as the Royal Mile, the Princes Street Gardens, the Calton Hill and many more. Here you will also enjoy fantastic views of the city and Leith, the city’s port, and beyond. Edinburgh’s Castle rock has been a stronghold for over 3000 years. In its dominating position overlooking the capital city, the grandeur and historical significance of Edinburgh Castle has made it a globally famous icon of Scotland and part of the Old and New Towns of Edinburgh World Heritage Site. 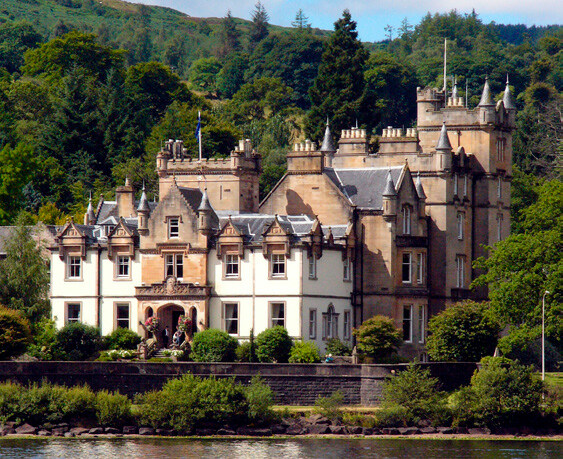 Tonight we enjoy our farewell dinner and an evening of entertainment at Prestonfield House. Featuring a nightly performance by acclaimed Three Scottish Tenors, Scotland’s most famous evening of traditional Scottish music, bagpipes, fiddles and dance with wine and dinner is not to be missed! Moments from the bustle of the Royal Mile, enjoy a memorable evening of emotive song and spirited dance. A delicious 4-course dinner of Angus beef and Orkney salmon with wine and taste of haggis accompanies this unmissable evening of traditional hospitality and entertainment.